There is no better treat for a hot 4th of July than some yummy ice cream and what better way to deliver it to your guests then in a fun patriotic ice cream sandwich. 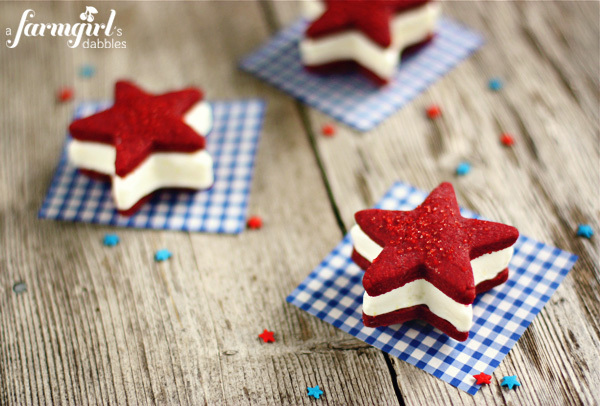 Farm Girl Dabbles created these yummy ice cream sandwiches with red velvet shortbread cookie stars and cream cheese ice cream. YUM! 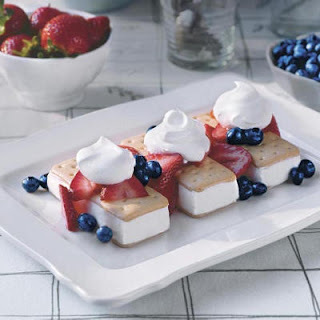 If you want to take advantage of the delicious, and patriotic, berries available during the summer months, check out these fun berry shortcake ice cream sandwiches from Southern Living. 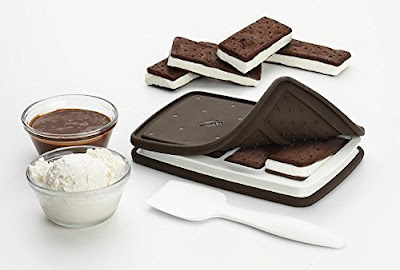 I love this idea because you can take vanilla ice cream sandwiches right out of the box and dress them up! 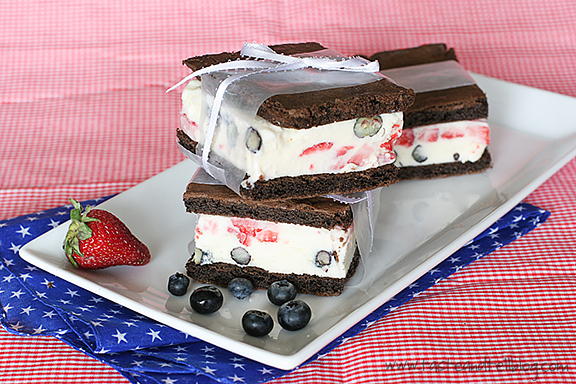 If you want to add a little spark to your 4th of July ice cream sandwiches, Apollinas will show you how to make these fun firework ice cream sandwiches. 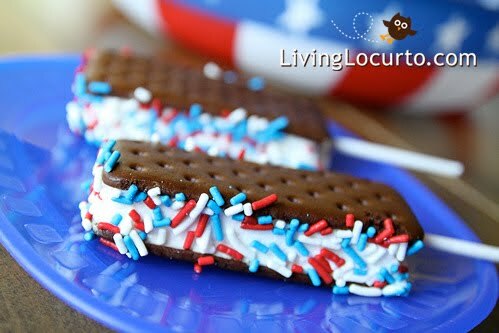 And if you are looking for something patriotic and easy to put together, grab some red white and blue sprinkles and check out these 4th of July ice cream sandwich pops from Living Locurto.